We have to protect other things that we have. Watch above, via CBS News, and read the full transcript of the interview here. "We can come back very quickly, and I'm not leaving", Trump said. "All I want to do is be able to watch", Trump replied. While acknowledging that the United States was a "major power" in the region he demanded: "do not pursue your own policy priorities, we live here". Earlier that month, Trump announced that the US would withdraw troops from Syria, claiming that the USA had defeated ISIS in the country. The report also said that "DoD provided only limited responses and was not able to answer a number of questions, including whether or not Turkish forces, Syrian regime forces, or [the usa -backed] Syrian Democratic Forces have the capability and intent to ensure the enduring defeat of ISIS in Syria". "Trump did not ask us to keep USA troops to watch Iran". "We might as well keep it", was Trump's pithy summary of his view on the matter. Salih spoke Monday at a forum in Baghdad and was responding to Trump's comments to USA media in which he said the US has an "incredible base" in Iraq which he intends to keep "because I want to be able to watch Iran". "One of the reasons I want to keep it is because I want to be looking a little bit at Iran because Iran is a real problem". "Talking about USA military bases in Iraq for the purposes of confrontation complicates the relationship with neighboring countries", he said in a statement, adding that it also undermines Iraq's independence. The United States has pressured Iraq to wean itself off Iranian natural gas, which generates almost half of Iraq's electricity, with promises of us investment in the country's crumbling infrastructure. 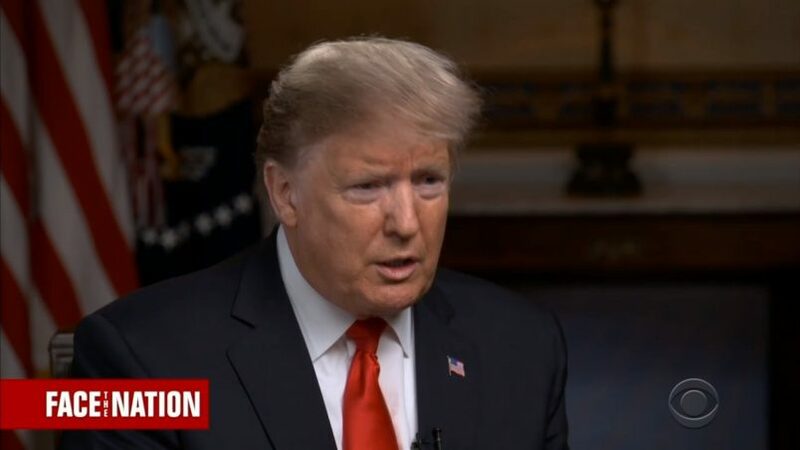 After President Donald Trump ripped former President George W. Bush's advisers for not knowing "what the hell they were doing", CBS's "Face the Nation" host Margaret Brennan pressed him on whether he trusts National Security Adviser John Bolton, a veteran of that administration.